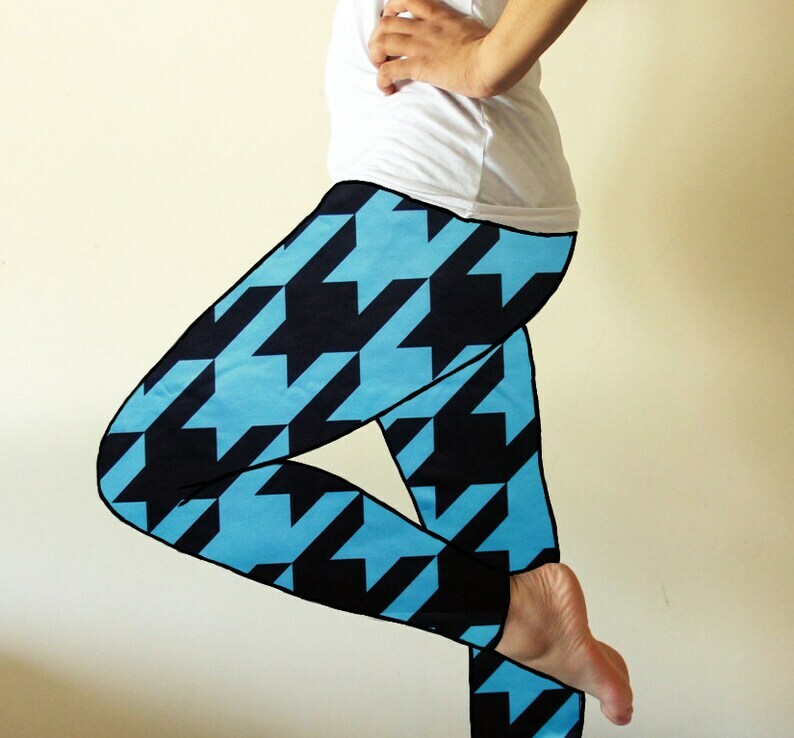 A pair of figure hugging leggings made from some stunning blue and black houndstooth print and with an elastic waistband. These leggings have a mid rise. If you wish to alter the rise to high or low, please contact me. The default length for this style of leggings will be 35" (out-seam) unless stated otherwise. Below are the measurements of the available sizes. Alternatively you can send me your measurements for custom sized leggings.